Br. 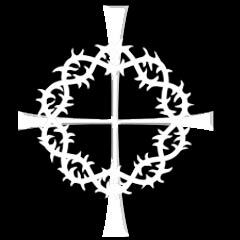 John Koelzer, CSV, died May 17, 1959, at St. Mary of Nazareth Hospital in Chicago, one day after turning 74. Br. Koelzer served the Viatorian Community for 53 years. A native of Chicago, Br. 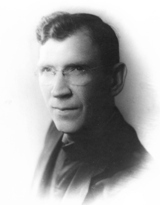 Koelzer was born on May 16, 1885 and became a member of the Clerics of St. Viator in 1906. One of his first teaching assignments with the Viatorians was at St. Viator Academy in Bourbonnais, where he was a popular instructor and made many lasting friends. Br. Koelzer worked with one of those students, Willard Arseneau, to build a stone grotto at Maternity BVM Parish, located adjacent to the academy. It took them three years to build and was intended to be a place of prayer for soldiers serving in World War I. They finished their project 40 years after the Blessed Virgin Mary appeared to Bernadette and it remains a legacy to Br. Koelzer’s devotion to Mary and the people of the parish. His last 30 years were spent at St. Viator Church in Chicago as a sacristan and catechism teacher. He taught religion classes in the school and for many years taught catechism to public school children. Br. Koelzer once said, “Priests come and go around here but I seem to go on.” That quality of being around, to lend an ear, give advice to a seminarian, child, or an old friend, served as his example of unconditional goodness to all — and made him unique. The priests in the house had taken to calling him “Old Brother,” but he was more the older brother for everyone in the parish, who might seek the fraternal assistance and help that he so freely gave. Before his assignment to St. Viator Church, he taught at St. Viator Normal Institute in Chicago, also St. Viator Academy in Bourbonnais, Illinois, Bourget College in Canada and the Viatorian Novitiate in Chamberlain, South Dakota. A solemn requiem Mass was offered May 20 for Br. Koelzer at St. Viator Church. The Very Rev. John F. Brown, CSV, provincial of the Clerics of St. Viator, was the celebrant. The Rev. 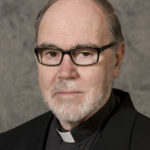 Michael J. Ranahan, CSV, pastor of the parish, served as deacon and the Rev. Charles R. Maranto, CSV, master of novices for the Viatorians, preached the sermon. Burial was in the Viatorian plot at Queen of Heaven Cemetery in Hillside, Illinois. He was survived by two sisters, Sister Mary Donatus, RSM and Mary Koelzer.